Take the Time to browse our unique Giftshop. We offer a large selection on Canadiana Gift Items, Kids Toys, T-Shirts and Maple Syrup Products. 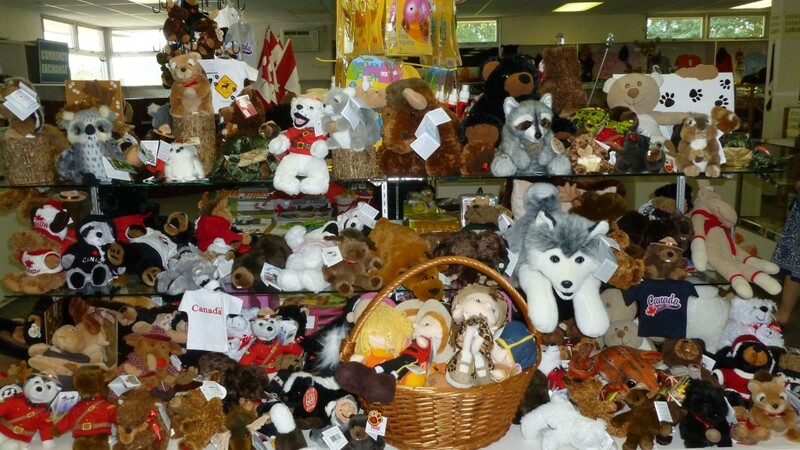 We have a huge selection of plush toys and even offer Huskies, Chipmunks, Eagles, Beavers and Skunks! In addtion we like to promote local business and their unique home products such as Salad Dressings, Soaps, Chocolate and more.